Marshalls’ block paving drainage range offers effective water management solutions that provide a number of important benefits. For a high-capacity scheme, consider Marshalls’ Max-E Channel heavy-duty system to manage surface water run-off. 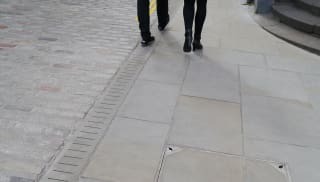 With concrete top units available in a range of colours and the option of a textured finish, this block paving drainage channel will complement any project. Marshalls’ Drexus XL high-capacity drainage system is another heavy-duty option designed to integrate seamlessly into surfaces. Offering attenuation and storage facilities, this low-maintenance polyethylene (PE) channel is suitable for any loading class, making it ideal for busy service yards, docking ports, airports and motorways. Drexus Pave Drain, one of our low-capacity systems, delivers efficient drainage for block paving. It’s available in a variety of finishes to complement our premium concrete and natural paving range, and provides a subtle finishing touch to any landscape project. 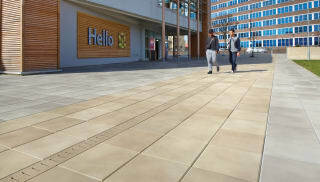 Browse Marshalls’ block paving drainage range now.